Lets go LADEE... To the moon! Today I've arrived at Chincoteague Island, VA. Going on a nice vacation with the inlaws before the end of summer. 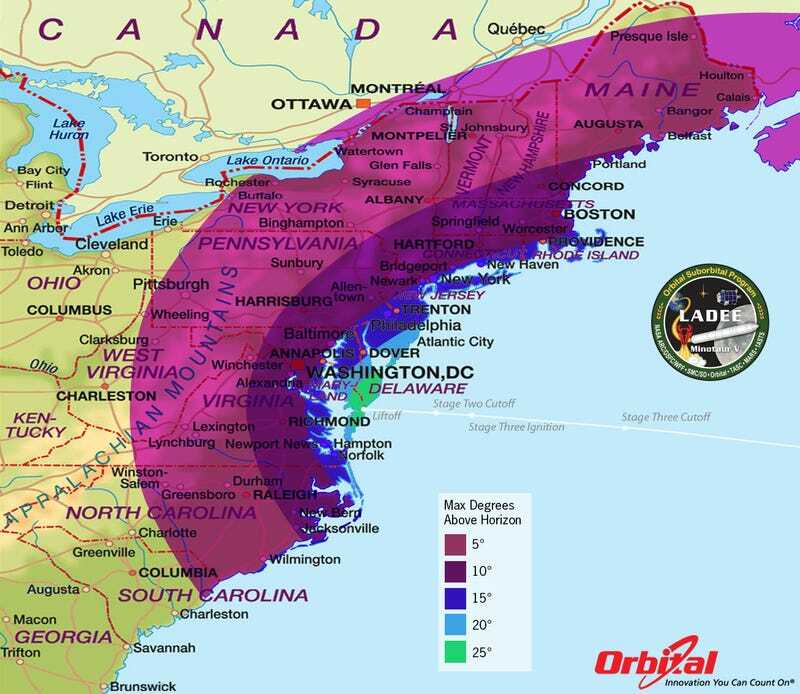 Earlier this week I heard that a night time Rocket launch will be visible across a large portion of North-East USA. Sounded good to me, then I realized vacay was sneaking up. So, shuffle that idea to the back of the head. Today we went to the beach to enjoy the ocean on Assateague island. while buying the week parking pass, we saw a big road sign that read "park closes at 7 due to rocket launch". My whole mind went racing back to the article from earlier in the week. I realized I didn't catch where it was launching from. Lo and behold, ye ol' smart phone knew the way. Its launching from NASA's Wallop Flight Facility on Wallop Island, VA. Its only about 10 miles from where I'm staying. Needless to say, I'm pumped! O am counting down, and in 1 hour I will get to see a historical rocket launch to the moon. I will post pictures we take, but until then, here are a pair of articles that will educate you more than I want to detail tonight. Hopefully this is as awesome as I hope it is!